Measure how happy your employees are, and gain real time employee feedback to keep them engaged at every step! 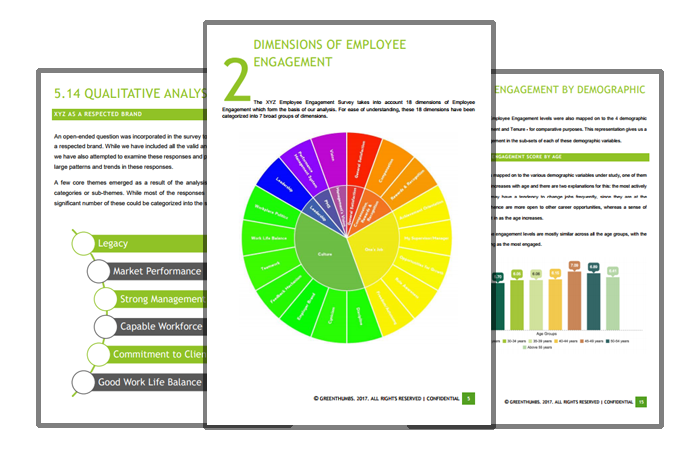 Discover how we measure Employee Engagement through our powerful algorithm and scientific design. Valuable insight into employees' perceptions and expectations. Full Service Support to develop action plans & drive business results. 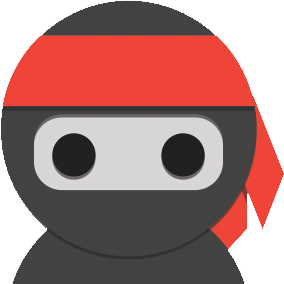 The "one" number you need to grow. Used to measure Employee Loyalty. Quick, Easy & Simple measure of Employee Engagement. Business Relevant dimensions to measure employee engagement, encompassing everything required for an employee to be engaged at work. 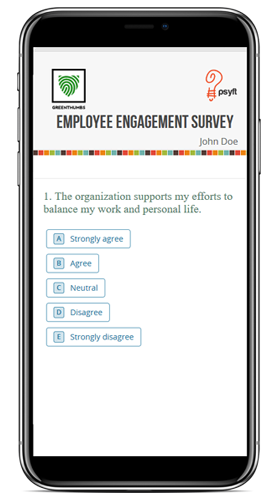 Our survey questions are thoroughly crafted by professionals and industry experts, encompassing vital employee engagement metrics. Dimension Based Engagement Levels, etc. We maintain 100% confidentiality & anonymity. Our reports represent collective and aggregated results and we do not disclose individual responses. Your data is safe with us. The survey is mobile responsive, i.e. you can complete the survey on your mobile phones as well.